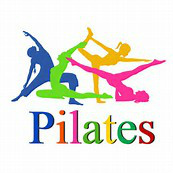 Our pilates class is now up and running! We meet in the chapel every Monday morning at 11:30am (excluding Bank Holidays). EVERYONE is welcome, and you may wish to book your place, as space is limited in our little chapel! You can contact us via email on our 'contact us' page, or drop a note into our postbox located beside the chapel door.